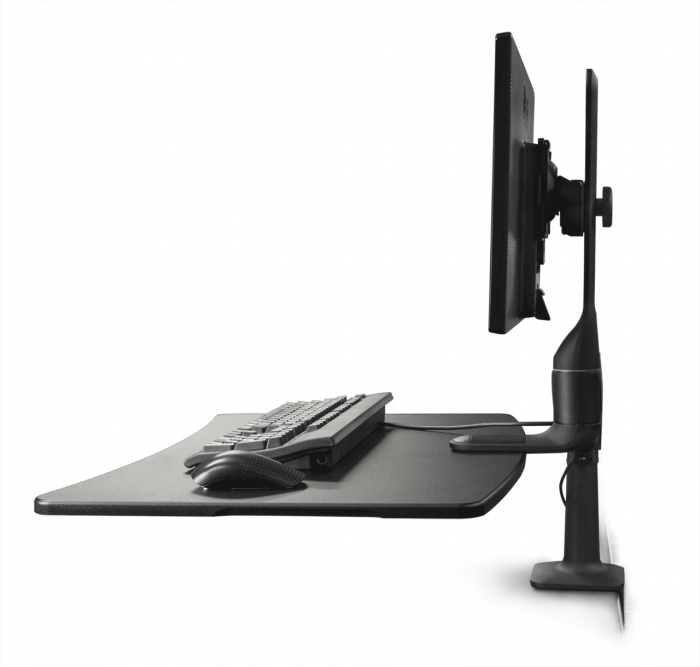 Easily Transform your current desk into a dual monitor sit-stand desk with the all new S2S Sit Stand Desk Riser. 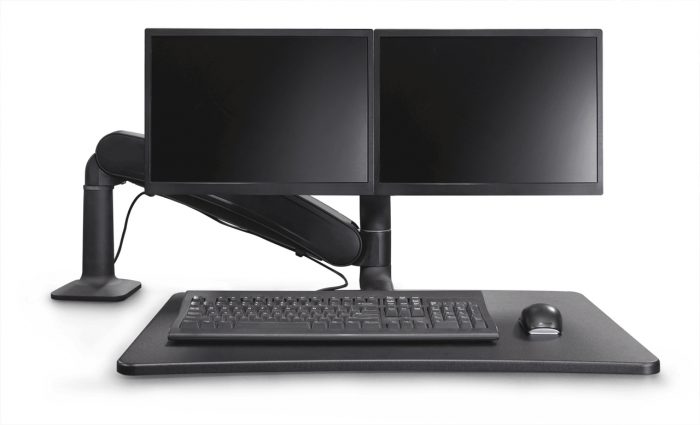 The S2S Dual Sit Stand Workstation utilizes a gas assist counter-balance arm to raise and lower the single surface workstation 18.5" of smooth acting height adjustment. 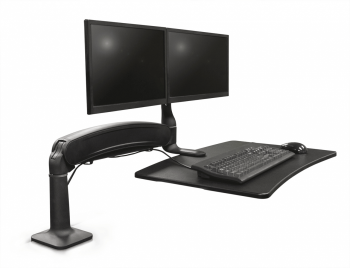 This 18.5" of height adjustment is ideal for users up to 6'4" tall in their standing position when using a 29" tall standard desk. 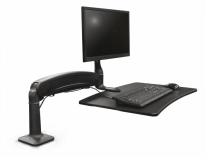 Utilizing an arm solution like the S2S Dual Sit Stand Desk Riser, allows you to swing it away when using your work surface. Spacious work surface (28" wide x 18" deep). 6.3" of independent monitor height adjustment. Two Weight Options (1.5lbs to 19.5lbs or 6.5lbs to 24.5lbs). 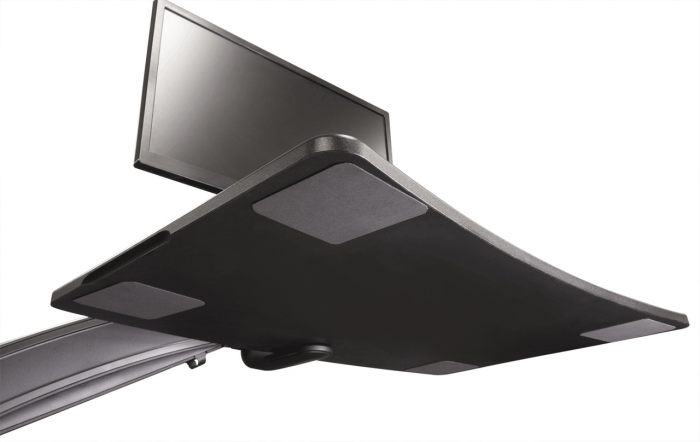 Supports up to 24" Dual Monitors. Monitor can rotate and pan.